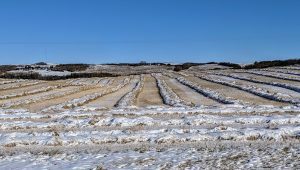 Scientific research in Western Canada has identified three factors that increase the risk of canola yield loss in short rotations. They are blackleg, clubroot and cabbage root maggot. 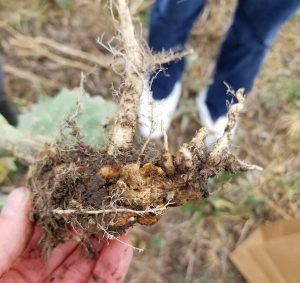 Clubroot will drive the need for longer breaks between canola crops on more and more farms. Healthy-looking plants can still have galls that release millions, possibly billions of spores. 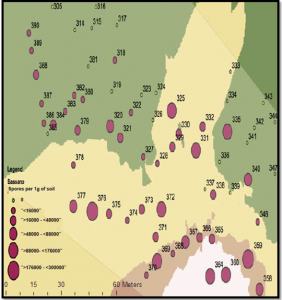 The Saskatchewan clubroot distribution map includes all findings of clubroot and detections of the clubroot pathogen from 2008 to 2018. 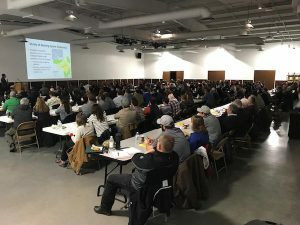 At the workshop, the 200 attendees were urged to think about actions they can take to reduce the impact of clubroot on their farms, businesses and communities. These actions includes crop rotations, sanitation, resistant varieties, reduced tillage and scouting. Here are the clubroot-resistant (CR) canola varieties currently available in Western Canada. 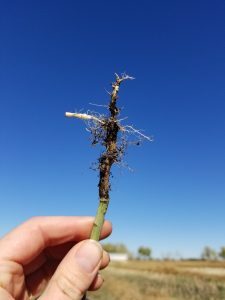 When choosing canola hybrids for 2019, think through the yield, quality and profit achieved over the past few years and consider what factors may have reduced overall profitability. Add notes on harvestability. Then consider how seed traits could help manage any existing and potential challenges, reduce risk and improve profitability. These definitions help answer questions such as: How can we lose a resistance trait? 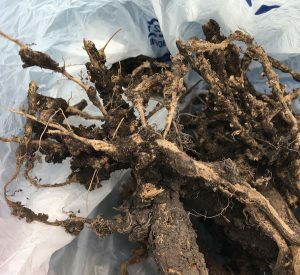 How does a clubroot-resistant (CR) variety work one year and not the next? 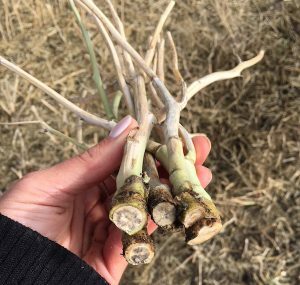 Clubroot has been identified in a canola field south of Calgary in Southern Alberta. 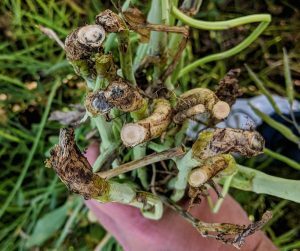 Although clubroot has been found in various counties in Alberta since 2003, this is the first confirmed case of the disease in Rockyview County. For more about the discovery and what to do about it…. By this time of year, galls may start to break-down. Decaying galls will have a sawdust-like look and texture. If in doubt, send plant samples to a lab. Here is a compilation of timely disease tips based on observations in the fields this week. 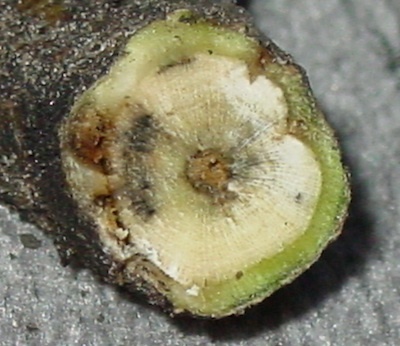 Look for blackleg (shown above) and clubroot in particular this fall.